← In which I spent the entire 1980s convinced the Star Wars Holiday Special never existed. It’s weird to discuss Some of My Best Friends now, a year and a half after writing and filming it, ten months after its first theatrical appearance. But it’s only now available online, so here we are. At the time – summer 2015, that is – I was still trying to ease my way back into filmmaking. Just like The First Date, I wanted something with a small cast and a single set, something that could be filmed in half a day. I also wanted something a little more complicated than two people and a locked down camera. I started thinking about the people with whom I wanted to work, and how I’d like to focus on dialogue while leaving room for improvisation. My inspiration eventually came almost entirely from a Kids in the Hall sketch featuring the entire cast as themselves, using a poker game as an excuse to just overhear them talk. The poker game, I could steal, as could the idea of everyone playing fictional versions of themselves. 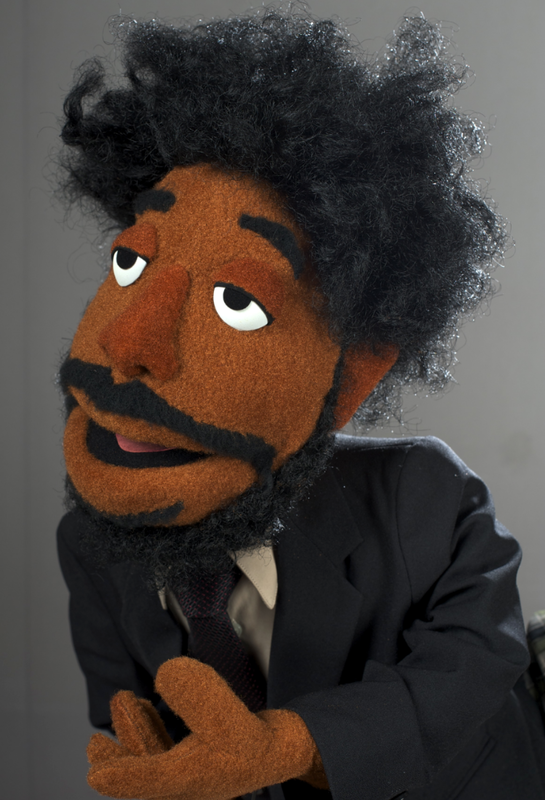 (It helps that I’m lazy with character names and gave the cast none; they’re listed in the script under their own real names, except for Wyatt the puppet, who was named for Wyatt Cenac, whom I had recently seen in puppet form, and the name stuck.) But what would they discuss? It wasn’t until I got the idea to include a puppet (no idea where that idea came from, other than a vague “I like puppets, and I think there should be a puppet”) that I finally hit on the idea of discussing casual bigotry. The word “pupist” made me giggle. The screenplay was less a morality tale and more an exercise in writing dialogue. Only half the script covers the movie’s theme; the rest is just listening to friends talk about poker. (Structurally, it’s certainly odd; watching with an audience is always interesting, as the film goes on long after its conflict resolves, and the crowd often isn’t sure what to make of that.) Most of the friendly chatter came easier than I expected, although I did have to create a chart to track the actual poker betting going on in the background. Luckily, everyone I invited to be in the cast accepted. The trickier part was finding a puppet that didn’t look store bought or cheap. It needed both originality and quality. My friends at The Puppet Forge were invaluable in this regard, crafting a puppet that looked (and operated) even better than I imagined. They nailed it. We filmed on a long Sunday in a friend’s basement – no air conditioning in the middle of the summer, lots of sweat and stank, and, look, that’s just the glamour of filmmaking, kids. Despite the heat, the cast was solid all day, instantly getting the tone I wanted. Many of their great ad libs wound up in the final cut. The original idea was to stick mainly with static shots and use handheld close-ups only when needed as filler. But DP Shane and assistant DP Mike, who both had free reign to, in my words, “I dunno, just shoot whatever you think looks good,” wound up getting so many great shots, editor Matt decided to use the handheld stuff almost exclusively in the final cut, even adding a fake “handheld” filter to a few static shots to help match. The end result is a far more vibrant movie. We feel closer to the characters. Their game feels more alive. Lesson: sometimes other people are going to have better ideas than yours, and you should always listen to them. I still have problems with the movie on a technical level – for instance, I decided on set not to mic Dave as he performed as Wyatt, opting instead to record his dialogue separately later; that decision led to more problems than it solved while editing, and while you might not notice, I always do. But it’s a good nine minutes spent watching six great actors just hang out and be weird. Shane’s saturated colors have a slightly unreal look I really dig. And, of course, Matt’s editing gives the whole thing the rhythm it needs. I’m still too close to it to watch it without cringing at my mistakes, but as a showcase for the work of the cast and crew, I really like it. I hope you do, too.